GRS effectively marketed a series of strategic auctions including “Exotic Hardwoods and Flooring", Aviation Fabrication”, “Ductwork and HVAC”. Buyers were attracted from California, South Carolina, Michigan, Missouri, Illinois, Ohio and New York and the local St. Louis Market. 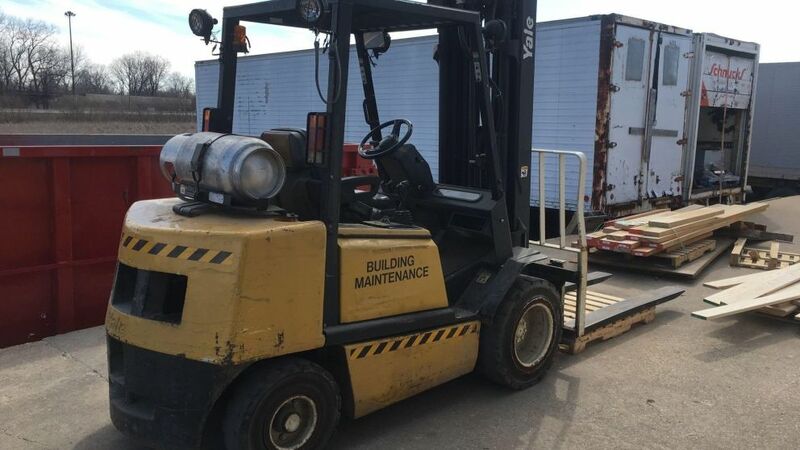 Auction is a profitable component of the “Circular Economy” ® turning excess inventory and unused equipment into revenue, ultimately diverting assets from landfills. Nancy Cripe, CAGA is a member of the National Auctioneers Association. For more information about the NAA, contact (314) 704-4326 or visit www.grsauctions.com. Cripe is the winner of the St. Louis Business 2016 Journal Catapult Competition for women business owners. Reach Cripe at GRSAuctions.com or by calling (618)286-4010. GRS Appraisal & Auction Services is 100% Woman owned and focused on liquidation of business assets for companies with excess inventory, navigating acquisition, relocation, upgrading or closing. The GRS Auction Team is built on the value to “Always Do the Right Thing”. The National Auctioneers Association represents thousands of Auctioneers from the U.S. and across the world. The mission of the NAA is to provide critical resources to auction professionals that will enhance their skills and successes. The NAA’s headquarters are in Overland Park, Kan., and it was founded in 1949. To learn more about the auction method of marketing or find an auction or Auctioneer, please visit www.auctioneers.org.